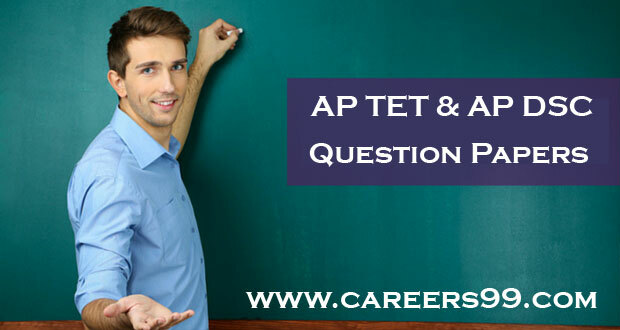 Download previous year question papers and sample papers of AP TET 2018 and APDSC 2018 for your exam practice. Question Papers for APTET 2018 & AP DSC 2018 available on careers99 will enable you to improve your speed and accuracy. You can download all previous years’ AP DSC exam question papers and sample papers free of cost. You can also download preparation guides for AP DSC prepared by many experts in the State. Are you looking for the AP DSC Previous Papers? Then you are at the right place. Here, applicants can find the AP DSC Question Papers and Model Papers. To score good marks in the exam, aspirants need to prepare hard for the examination. Therefore, check the APDSC Old Papers and get direct downloading links to all the study materials. Candidates can also find the APTET & AP DSC Model Papers with Solutions for free. Interested applicants can also visit the official website of APTET @ aptet.apcfss.in for more DSC Question Papers and Syllabus Details.